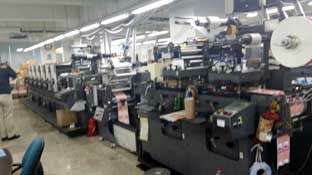 - Front 6color printing unit with 6sets of U.V dryers(3kw). - 1 U.V Varnishing(Solid/Spot) unit with 1 U.V Dyer. - 1 Lamination unit before Rotary die-cut unit. - 1 Rotary Magnetic Die-cut unit. - Mark Sensor scanner system before hot stamp unit. - Independent Japan Servo motor feed unit with digital setting of unwinder, rewinder & each Printing station of main rotary machine and 1 Servo motor feed unit with digital setting of Twin Die-cutting machine. - 1 Lamination unit with unwinder/rewinder. 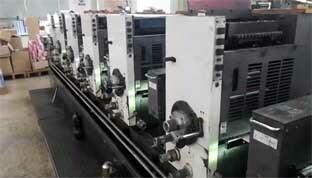 - In-Line Unwinder unit with lift type for Roll Material.